A WLAN, also known as Wireless LAN, is a sort of Local Area Network (LAN) that implements high frequency radio waves instead of wires to communicate and transmit data. It is a supple data communication method put into practice as an expansion to or as a substitute for, a typical wired LAN. A WLAN provides wireless network communication over short distances using radio or infrared signals instead of traditional network cabling. A WLAN typically extends an existing wired local area network. WLANs are built by attaching a device called the access point (AP) to the edge of the wired network. 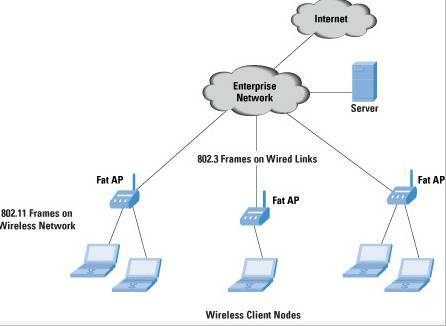 Clients communicate with the AP using a wireless network adapter similar in function to a traditional Ethernet adapter. Network security remains an important issue for WLANs. Random wireless clients must usually be prohibited from joining the WLAN. Technologies like WEP raise the level of security on wireless networks to rival that of traditional wired networks. 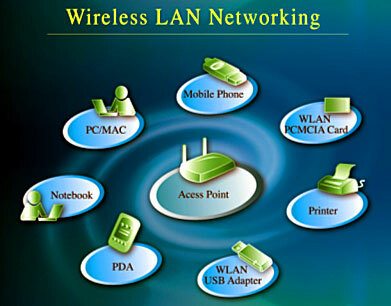 An Access Point joins wired and wireless networks collectively and facilitates the transmission of data between wireless consumers and the wired network. Implementing several access points enhances overall system capability and scope. Wireless consumers can wander between different access points without disconnecting, like a mobile phone can wander between mobile phone towers. The wireless SSID, also called as the Network Name, is the Service Set Identification for your wireless network. The Service Set Identifier (SSID) manages admittance to a particular wireless network. The SSID value must match the SSID of any and all access points and consumers that you want to converse with. If the value does not match, access to the system is denied. The SSID can be up to 32 case sensitive characters. Wireless networking facilitates the same potential and equivalent speeds of a wired 10BASE-T network without the problems linked with arranging wires, drilling into walls, or stringing Ethernet cables all the way through an office building or home. Laptop users have the liberty to wander everywhere in the office building or home without having to look for a connector cable or vacant jack. Every room in a wireless home or office can be connected to the WLAN, hence adding up additional users and increasing a network can be as trouble-free as installing a new wireless network adapter.